The choice of SAILOR 60 GX and SAILOR 100 GX supports reliability and availability of Fleet Xpress communication services for crew, ensuring their ability to contact friends and family, use social media or browse the web. 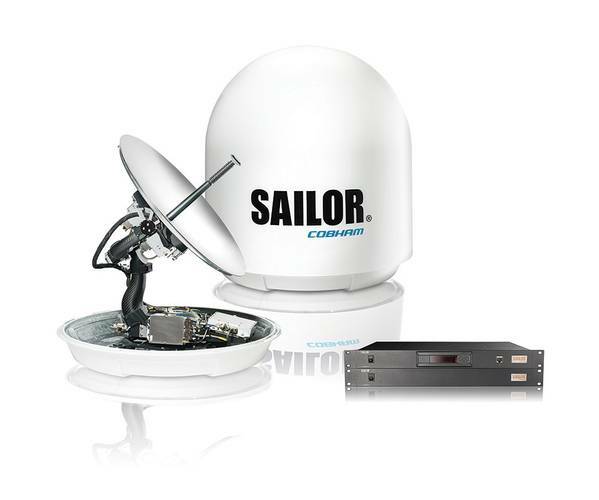 With demand for crew voice and data services continuously growing, the SAILOR satcom antennas helps vessel owners and operators to get the most from Fleet Xpress, contributing to crew recruitment and retention strategies. The 1 meter SAILOR 100 GX is based on Cobham SATCOM’s SAILOR VSAT Technology platform, designed to simplify installation and operation while delivering class leading radio performance through unmatched link stability and service reliability. The 60cm SAILOR 60 GX leverages new compact, lightweight carbon fiber composites/aluminum design. By enabling a high-throughput link to Fleet Xpress in a smaller antenna package, SAILOR 60 GX introduces smart shipping applications to smaller platforms, including workboats, fishing vessels and yachts.